Jiffry Zulfer, Chief Executive Officer of PickMe and Indika Elvitigala, Vice President, Corporate Sales of PickMe. 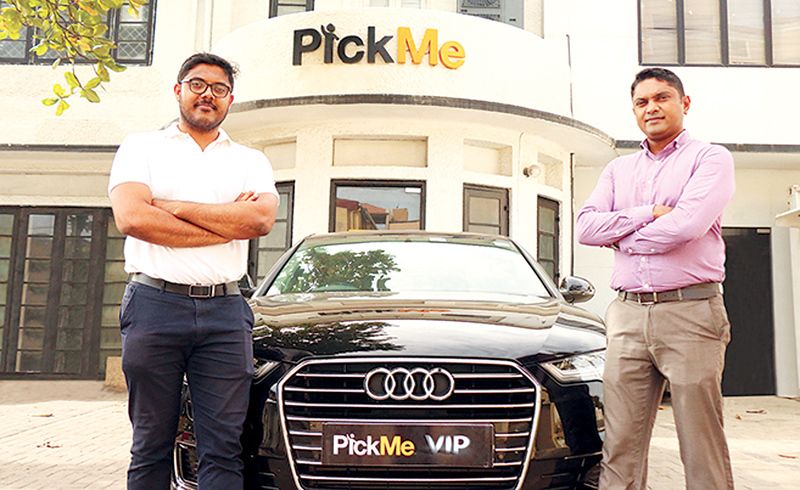 Sri Lanka’s fastest growing, homegrown taxi hailing service PickMe recently debuted its newest feature ‘PickMe VIP’ which is a fleet chauffeur-driven, luxury cars that cater to premium clients and corporates. Ideal for anybody who wishes to make a grand appearance, be it at an international conference as an important delegate or a luxury wedding as a beautiful couple, PickMe VIP will be at your fingertips offering you a high-end prestigious ride for an affordable rate. This service aims to reduce the cost of high tariffs on car rentals in the existing market and offer customers the convenience of hailing a luxury Audi A6 or a Mercedes C180 via the app the same way they hail a three-wheeler or a car sans complicated processes or procedures. PickMe launched the service in Colombo initially on August 3 and plans to extend its luxury fleet of vehicles into other cities of the country very soon. The new VIP icon is now available on the PickMe app. Features like free Wi-Fi, SOS button, driver details being displayed upfront will be especially available for patrons who will be using PickMe’s luxury VIP vehicles. “With PickMe VIP available in Colombo now, we expect to address the unmet needs of users who demand unmatched style and comfort, at the touch of a button. PickMe VIP brings a stylish luxury ride within minutes at a customer’s doorstep anytime of the day. We are confident that the offering gets a positive response from Sri Lankans,” Jiffry Zulfer, Chief Executive Officer of PickMe commented.